Arlington, TX-(ENEWSPF)- Not too many people would call a 95-win season a disappointment. 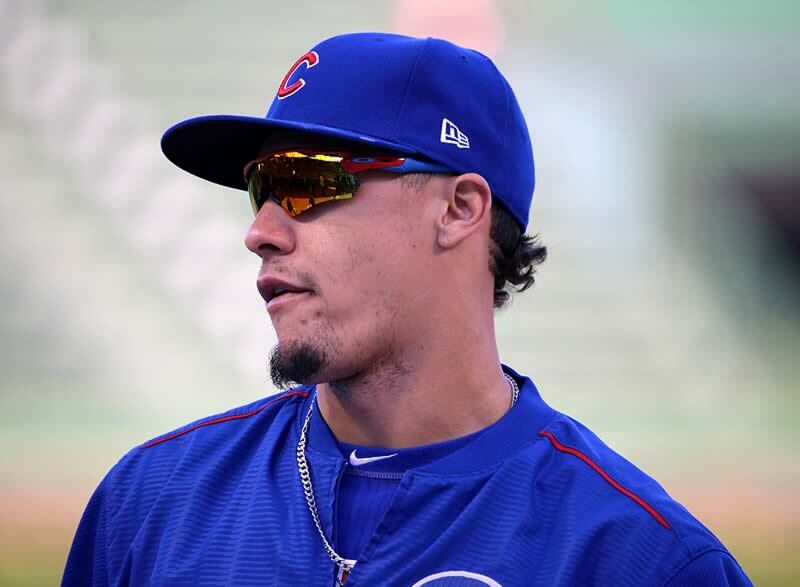 But, after falling shy of a third consecutive NL Central Division title last season after losses against the Milwaukee Brewers in the one-game playoff and in the wild card game vs. the Colorado Rockies, the Cubs were definitely looking to get 2019 off started on the right foot. With an offseason filled with Bryce Harper and Manny Machado drama, question marks about payroll, and potential roster moves, the Cubs 2019 season was officially underway Thursday afternoon against the Texas Rangers at Globe Life Park in Arlington, TX. The season opener would see a pair of southpaws on the mound as it was Jon Lester for the Northsiders vs. Mike Minor for the Rangers in front of 48,538 fans. Both pitchers were dealing early until the bottom of the 3rd. With two outs and Roughned Odor on second, Rangers’ shortstop Elvis Andrus hit a two-run home run off Jon Lester to right-center field to draw first blood and give Texas an early 2-0 lead. It wouldn’t take long for the Cubs to answer back. With two outs in the top of the 4th, National League MVP runner-up Javier Baez began to steal the show as he took an 0-2 Mike Minor offering that was low and away, way out of the strike zone, deep into the left-field seats for a solo shot to cut the Rangers lead to 2-1. The Cubs would break the game wide open in the 5th. With runners on first and third and no outs, Jason Heyward would hit an infield single up the middle to score David Bote to tie the game at 2-2. Rookie Mark Zagunis would follow up with a line-drive single to centerfield, scoring Ben Zobrist to give the Northsiders a 3-2 lead. The Cubbies weren’t done yet. Kris Bryant would ground out to Elvis Andrus scoring Jason Heyward to expand the Cubs’ lead to 4-2. That would be the last hitter that Rangers’ starter Mike Minor would face and former Cub Jesse Chavez would enter the game in relief to face Javier Baez. Baez would blast the first pitch he saw 411ft to right-center field for a 3-run homerun to put the Cubs up 7-2 and a six-run 5th. Baez would become the first Cub with two homeruns on opening day since Corey Patterson achieved the feat in 2003. There was no looking back after that as the Cubs would tack on five more runs, including a Kris Bryant two-run shot in the 8th off of Kyle Dowdy and win the opener in deciding fashion 12-4. Cubs’ starter Jon Lester went 6 innings, giving up four hits, walking two, and striking out 3 while the bullpen combination of Randy Rosario, Brad Brach, Pedro Strop, and Mike Montgomery would combine for 3 innings, two hits, and two runs to shut the door on the Rangers. After the game, there was a lot of buzz surrounding Baez in the Cubs’ clubhouse. With an off day Friday, the series concluded Saturday evening at 7:05 with Yu Darvish on the hill facing his former team vs. Edinson Volquez for the Rangers. The Cubs lost that round 6-8.